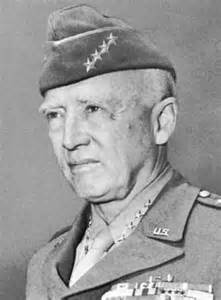 General George S. Patton was convinced that he was a solder and a great general in his many past lives and had no problem meshing his Protestant faith with his reincarnation beliefs. Always a soldier, he once stood shoulder to shoulder with Alexander the Great and Napoleon. He crossed the Alps on an elephant while residing in the body of the Carthaginian conqueror Hannibal. Patton was also quite certain that he once fought for the great Caesar as a Roman legionary. 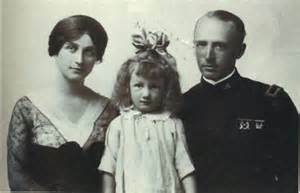 When Patton died in 1945, both his daughters experienced a last paranormal good-bye from their general father. Ruth Ellen woke up at the moment of his death and saw him standing at the floor of her bed in full uniform. "'I sat up in bed -- I could see him plainly. When he saw I was looking at him, he gave me the sweetest smile I've ever seen,'" she recounted. Labels: Alexander the Great, Beatrice Patton, Caesar, General George Patton, General Patton, George S Patton, Hannibal, paranormal, past lives, Patton, reincarnation, spirit phone call, World War I.